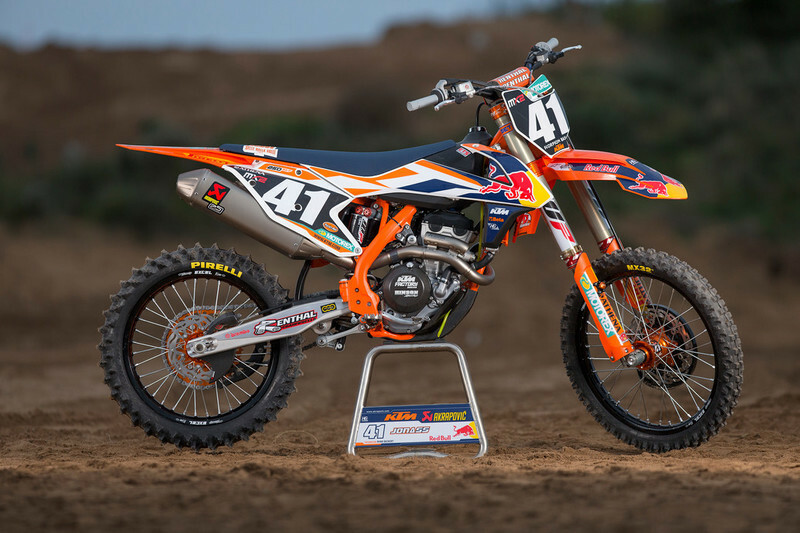 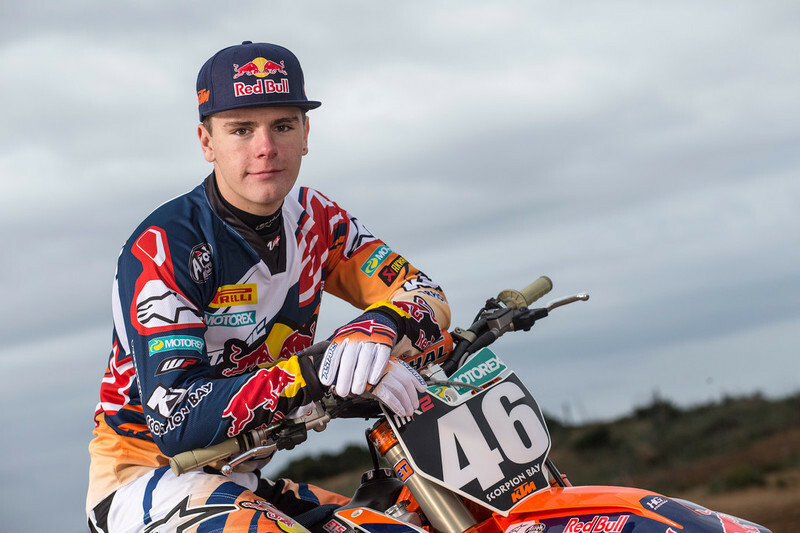 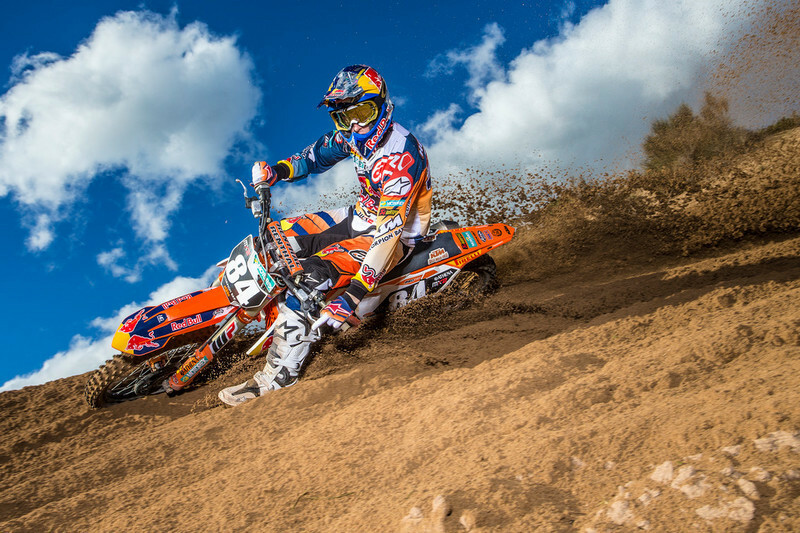 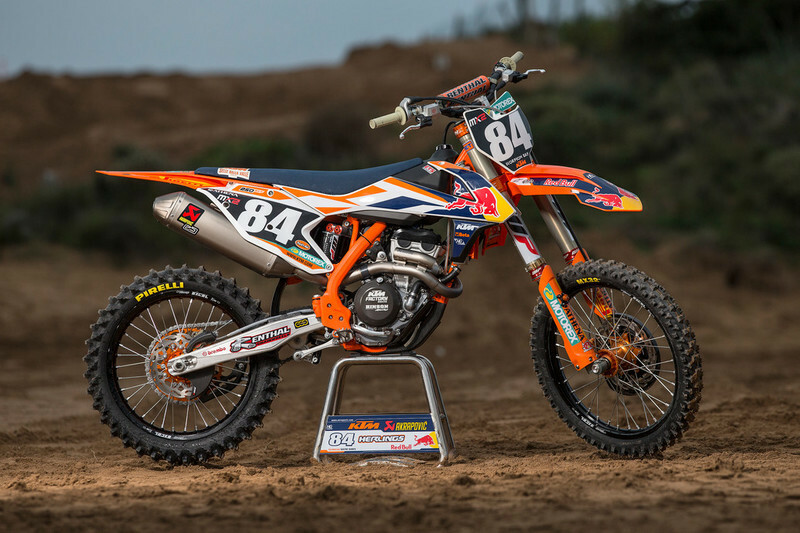 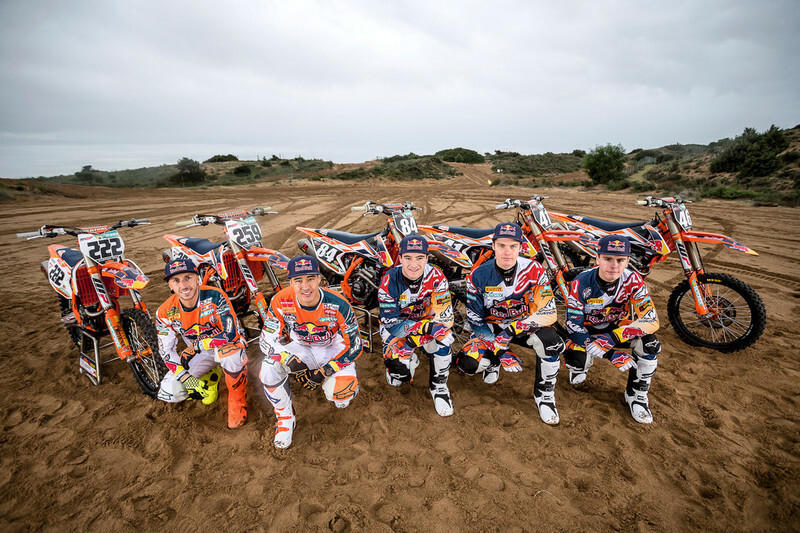 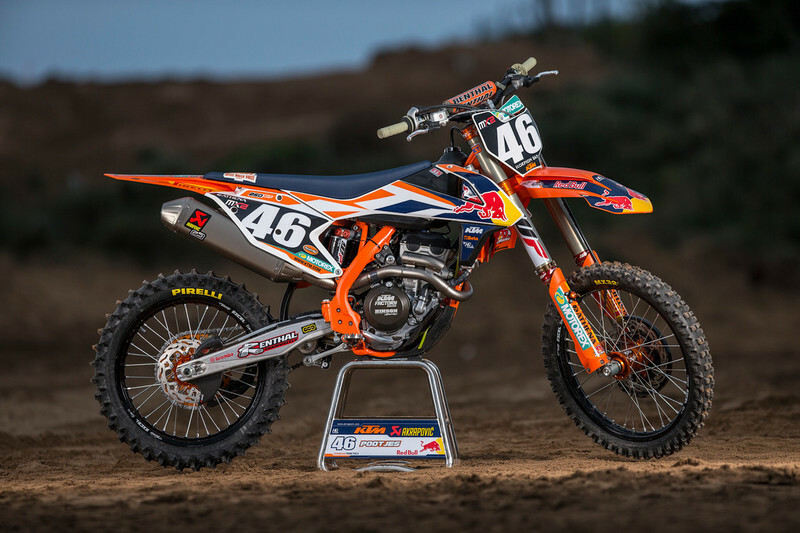 The island of Sardinia was again the location for Red Bull KTM to show off their new colors, designs, fitness and form for the forthcoming racing campaign as the team’s official photoshoot took place for MXGP 2016. 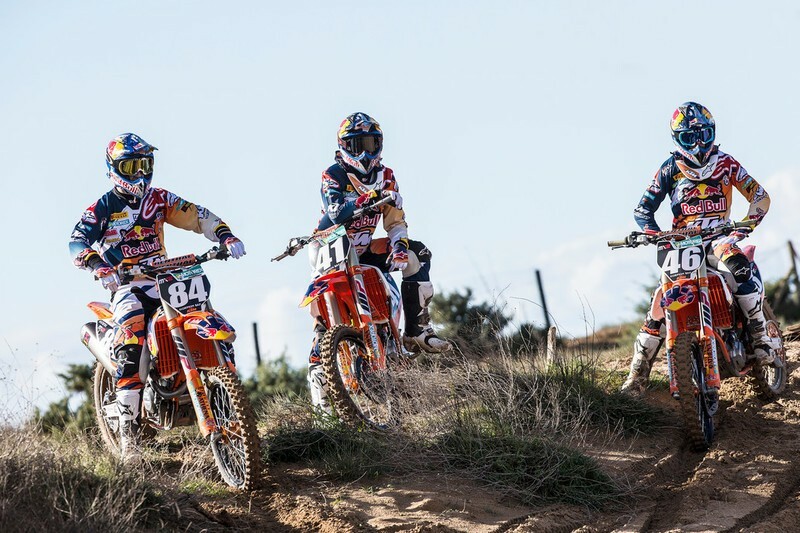 Already a staple part of their pre-season routine, the multi-title winners braved some reasonable winter weather for JP Acevedo’s cameras. 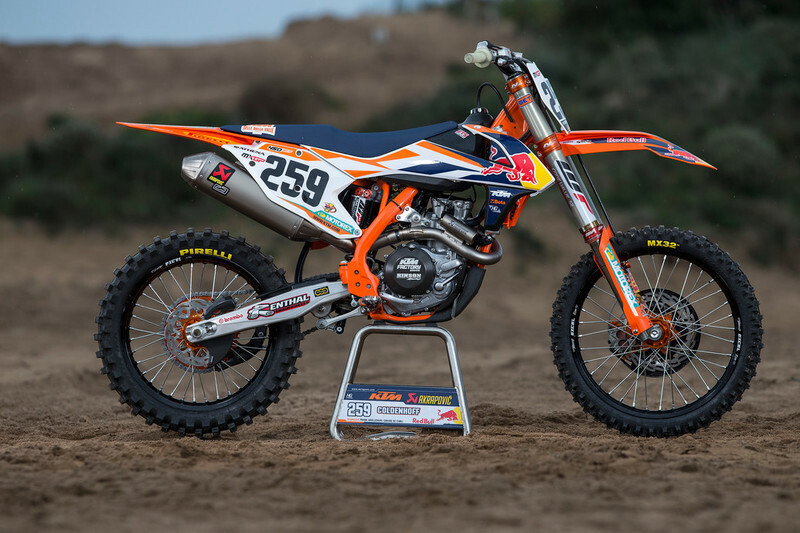 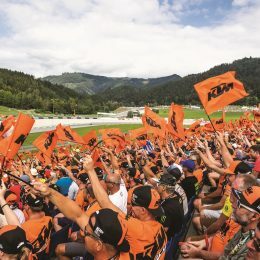 In attendance with their KTM 450 and 250 SX-F machinery was Tony Cairoli (222) and MXGP teammate Glenn Coldenhoff (259) and MX2 athletes Jeffrey Herlings (84), Pauls Jonass (41) and Davy Pootjes (46). 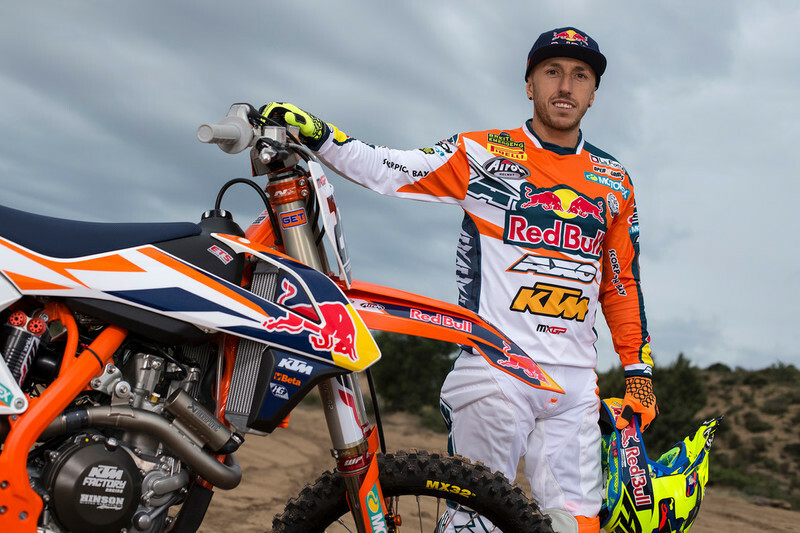 It’s a new season with new challenges in the MXGP World Championship for the Red Bull KTM Motocross Factory Racing squad with eight-time World Champion Tony Cairoli and his KTM 450 SX-F once again spearheading KTM’s higher capacity class campaign with new teammate Glenn Coldenhoff. 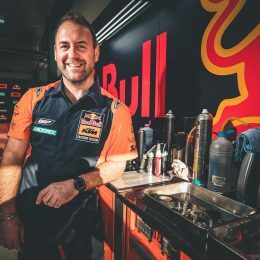 Italian-ace Cairoli will be looking to put his injury woes behind him while Dutchman Coldenhoff, who won his first Grand Prix during his MXGP debut last season, switches to orange in a bid to step up his campaign with the big boys. 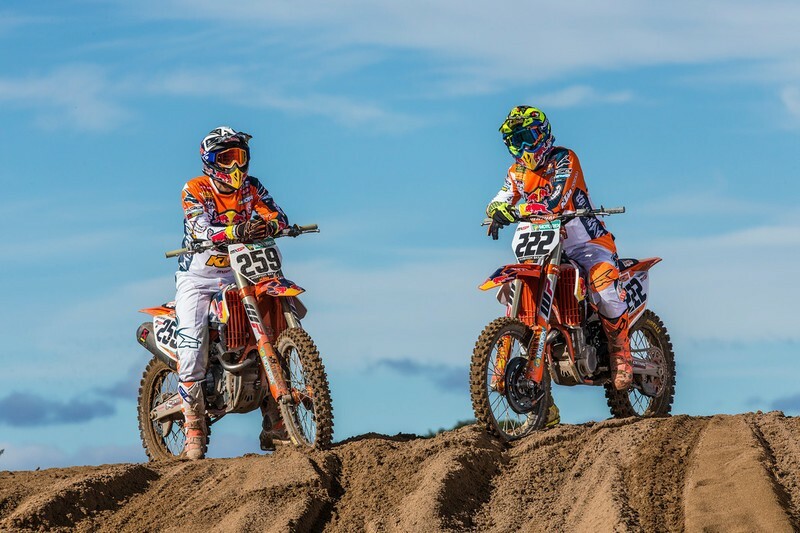 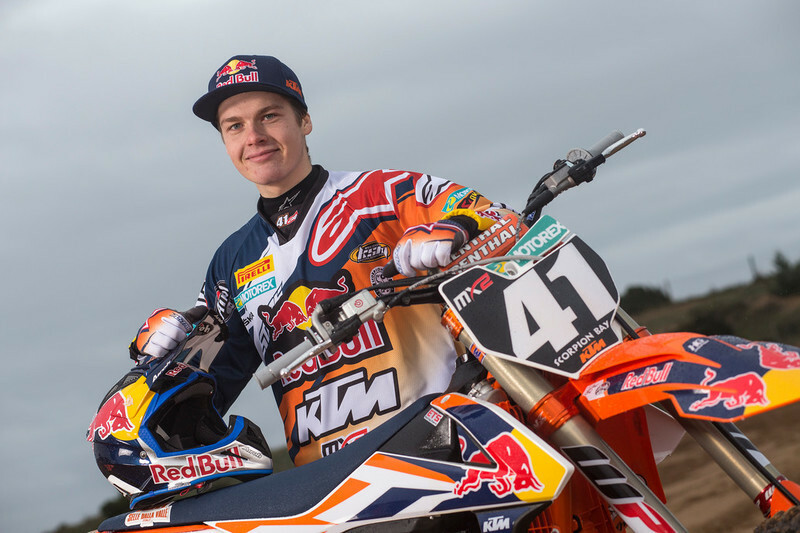 In the MX2 series Jeffrey Herlings will once again be going for gold on his KTM 250 SX-F, but not without a challenge from within the KTM team in the form of Latvian star Pauls Jonass and former junior champion Davy Pootjes. 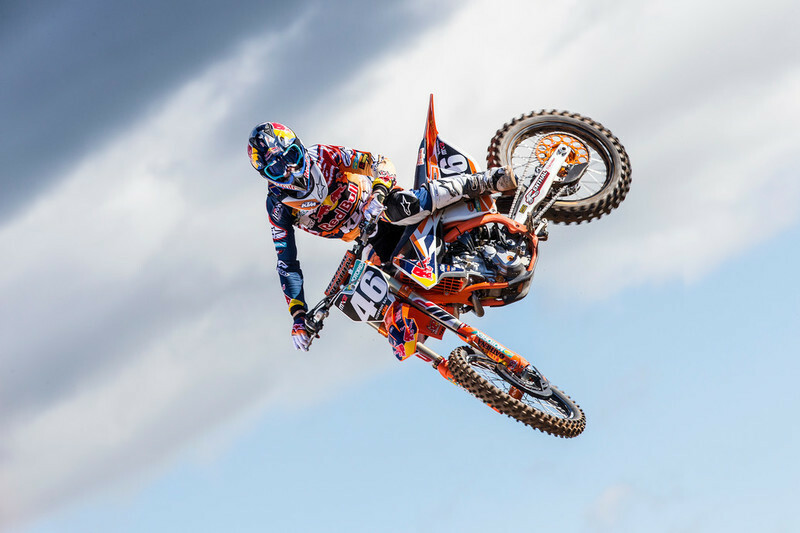 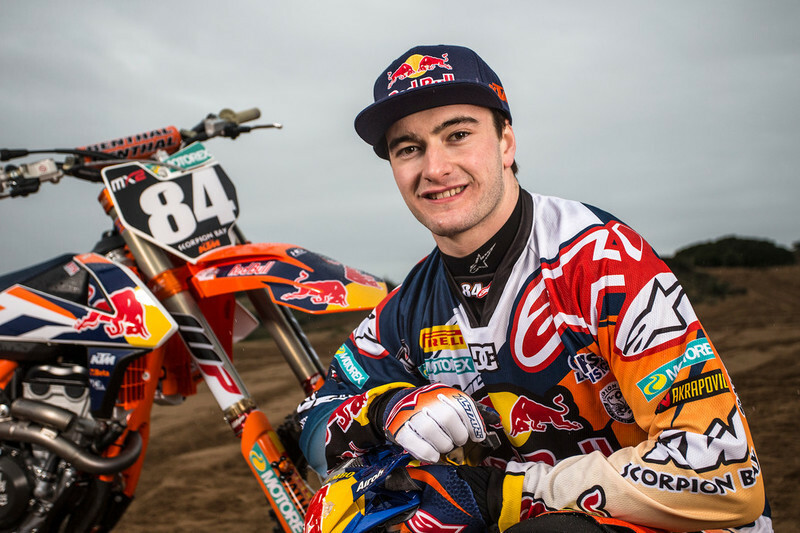 Herlings will be looking to get right back on point to his race winning ways, but Jonass, last year’s runner-up in the MX2 World Championship, along with the up-and-coming Pootjes will certainly be looking to keep the orange team right at the head of the field. 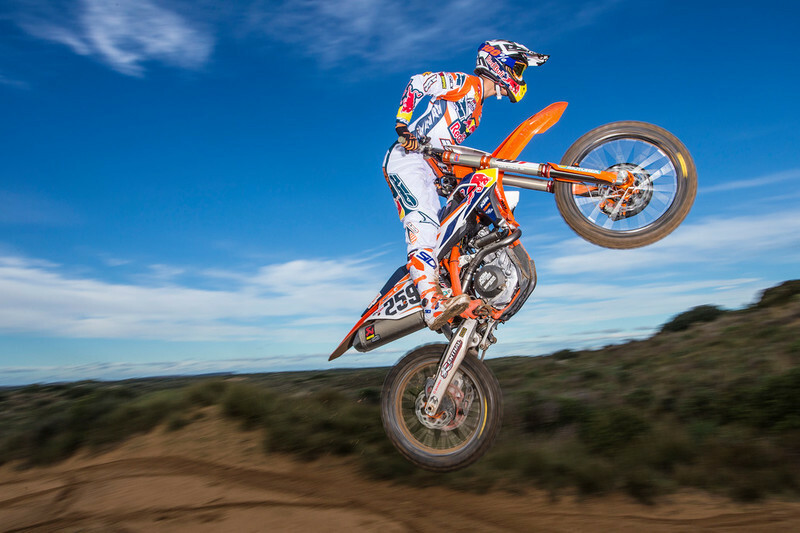 The official photoshoot serves many promotional purposes but it is also a small treat for the fans to see how some of their favorite racers will be looking as the calendar builds up to launch. 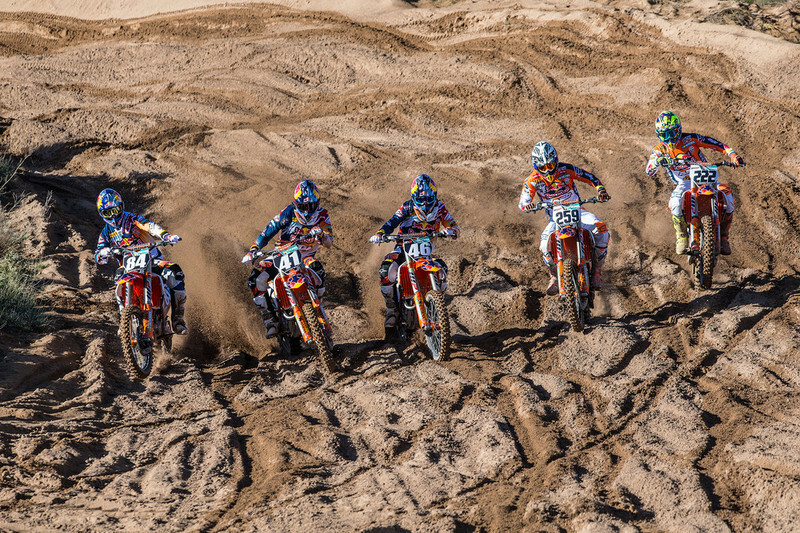 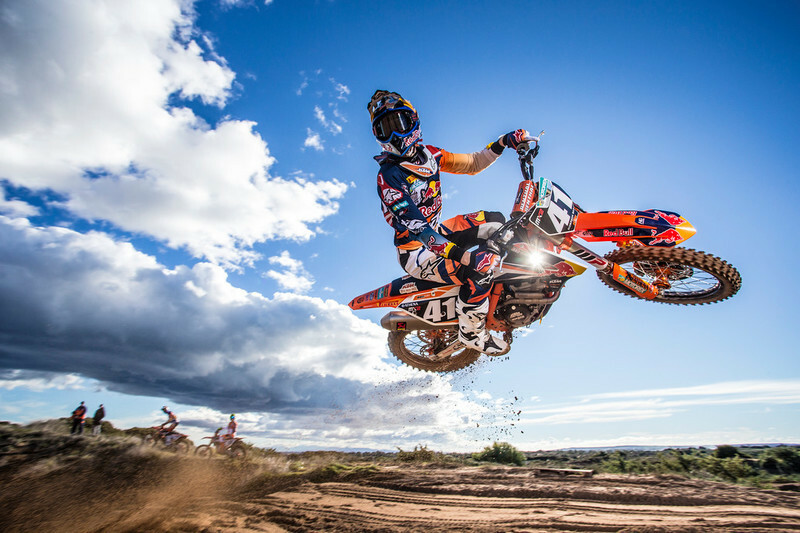 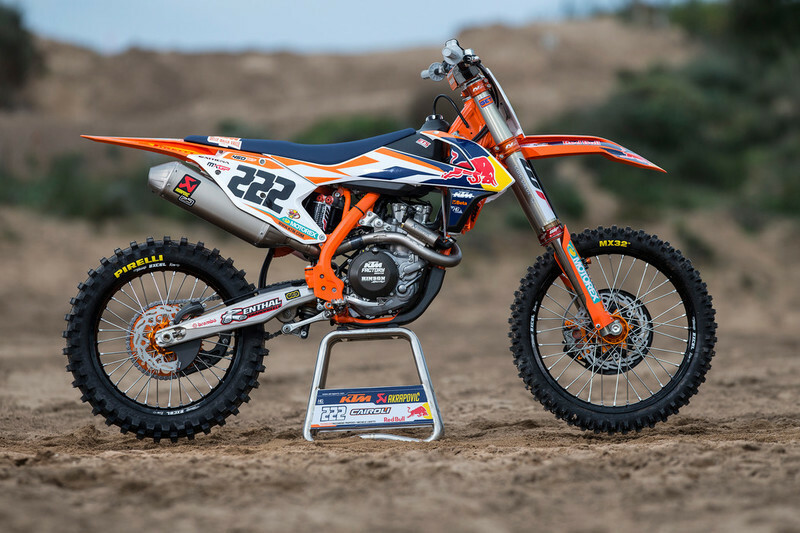 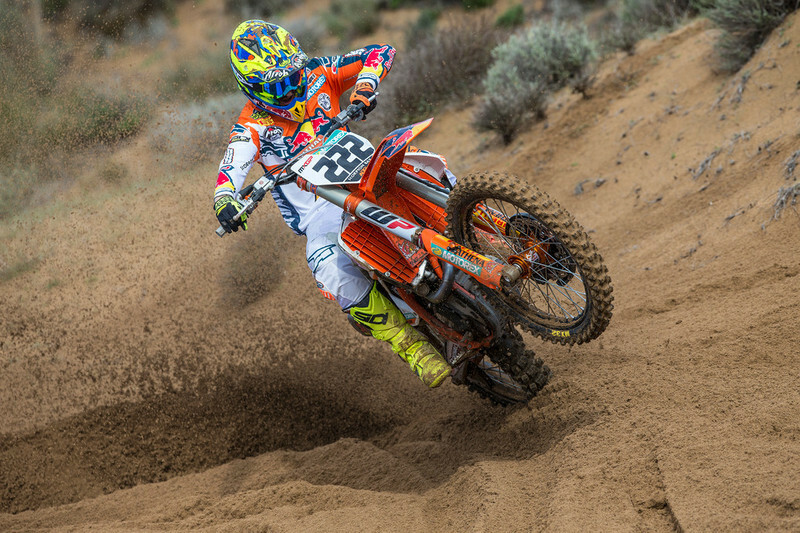 Enjoy some orange dirt bike pictures of some of the fastest riders and machines in the world! 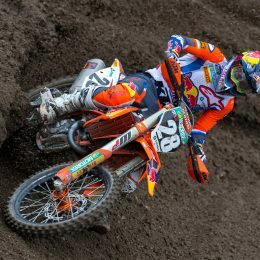 I m big fan of Tony Cairoli and thanks for sharing his pics here.